The drug drop box will be located inside City Hall at the Police Department lobby on the first floor. 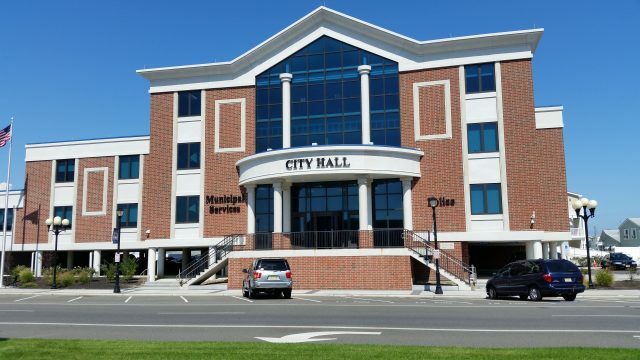 Sea Isle City announced Monday that it has joined the New Jersey Attorney General’s “Project Medicine Drop” initiative, and will install a Project Medicine Drop Box at police headquarters. The new drop box will be available to the public beginning Oct. 29 in the Police Department lobby, located on the first floor of City Hall, 233 JFK Boulevard. Once it is ready, residents may visit the Police Department at any time, 24 hours a day, seven days a week, 365 days a year, to dispose of their unused or expired medications. The initiative will make it easier and more convenient for Sea Isle residents to take a role in the fight against the nationwide epidemic of opiate and heroin abuse, which often is fueled by the abuse of prescription painkillers. “Project Medicine Drop has been a tremendously successful program in helping with the ongoing battle against opiate abuses, and it shows our commitment to doing all that we can to help in this fight,” Sea Isle Police Chief Tom McQuillen said. “Sea Isle City’s Municipal Alliance Committee and Police Department have worked long and hard to get to this point and we are all very excited about this program, which will allow our residents and visitors to come to the Police Department’s lobby 24 hours a day, 7 days a week and anonymously dispose of unused medications, without ever having to talk with an officer,” McQuillen added. Project Medicine Drop is a key component of the New Jersey Attorney General’s effort to stop the diversion and abuse of prescription drugs, including highly addictive opiate painkillers. Through the initiative, the New Jersey Division of Consumer Affairs installs secure “prescription drug drop boxes” at State Police barracks, sheriff’s offices and police departments throughout the state, including two military installations and several college campuses, allowing citizens to safely dispose of their unused, excess, or expired prescription medications. By giving the people of New Jersey a safe and secure method to dispose of unneeded medications, Project Medicine Drop helps prevent the abuse of these drugs, authorities said. The initiative also protects New Jersey’s environment by keeping these drugs out of landfills and out of water supplies.